Internet is an audio service transmitted via the Internet. to make your radio transmatted via the internet you need some broadcaster software and shoutcast server, shoutcast server it’s self is a streming server which allows radio stations to effectively broudcast radio online. I use SAM BROADCASTER software, you can download on the link below and install on your komputer. 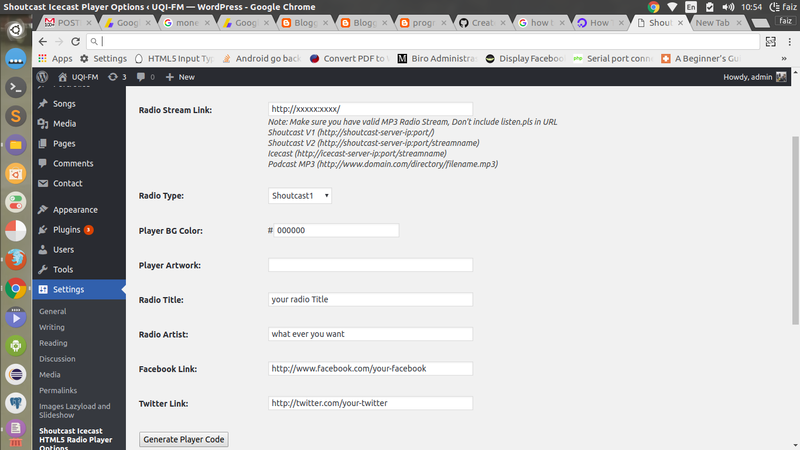 I use windows 7.
there are many free shoutcast sarver, one of them is listen2myradio.com, if you don’t have account yet.. then resgister. 3. Create new page on your wordpress and then paste generated player code and publish the page.